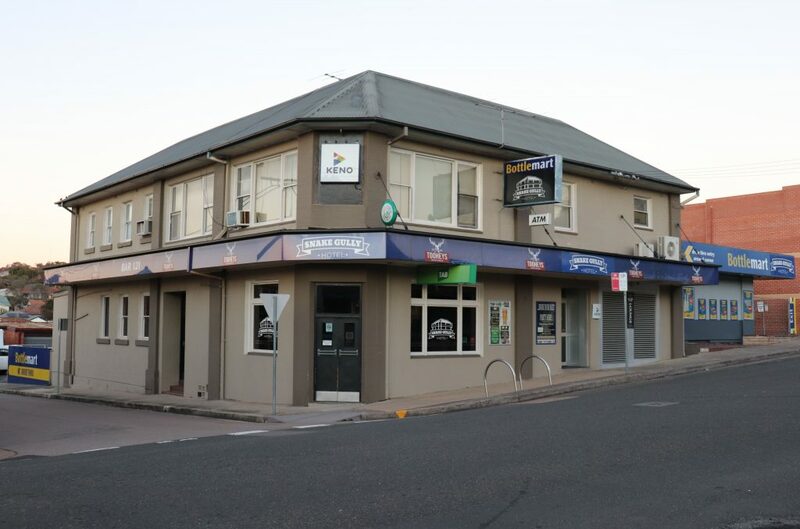 The intersection of Elder and Grainger streets was at one time the hotel hub of Lambton, with three of its four corners hosting a licenced establishment. In 1865 John Stoker opened the Gold Miners’ Arms on the north east corner, and in 1868 Michael Doyle opened the Rose, Thistle & Shamrock Inn on the south east corner. The first publican was Mr W Brown, followed by John Sample in 1889. Another notable publican was George Smith, who held the license of the Commercial Hotel from 1901 to 1912, before becoming publican of the Northumberland Hotel at the other end of Elder St from 1913 to 1920. After 84 years of trading as the Commercial Hotel, in 1972 it was renamed the Snake Gully Hotel. In 1979 it became the Hotel Amos, then reverted to Snake Gully Hotel in 1982. In 2002 it was renamed Bar 121, and then renamed to Snake Gully Hotel again in 2016. The hotel closed in August 2018 bringing to an end over 150 years of continuous hotel operations at the Elder/Grainger St intersection. The article above was first published in the December 2018 edition of The Local. John Sample’s Commercial Hotel 1893. Photograph by Ralph Snowball. University of Newcastle, Cultural Collections. Several books, including one I collaborated on (Lambton, A nineteenth century mining town, 2nd edition) state that the Commercial Hotel on the south west corner of Elder/Grainger Streets dates from 1880. This is incorrect. While researching this article I discovered that the Commercial Hotel of 1880 was a different hotel, somewhere on the north side of Elder St. The Commercial Hotel that opened in 1888 on the southern side of Elder St was described at the time as a newly erected hotel. Mr R Ward operated the first Commercial Hotel until 1882, when he advertised the sale of the property. A few years later, in January 1885, the property was again advertised for sale, split into two allotments. There are no other lots that match the details of the 1882 and 1885 sale advertisements, so I am reasonably confident that this is where the first Commercial Hotel in Lambton was situated. 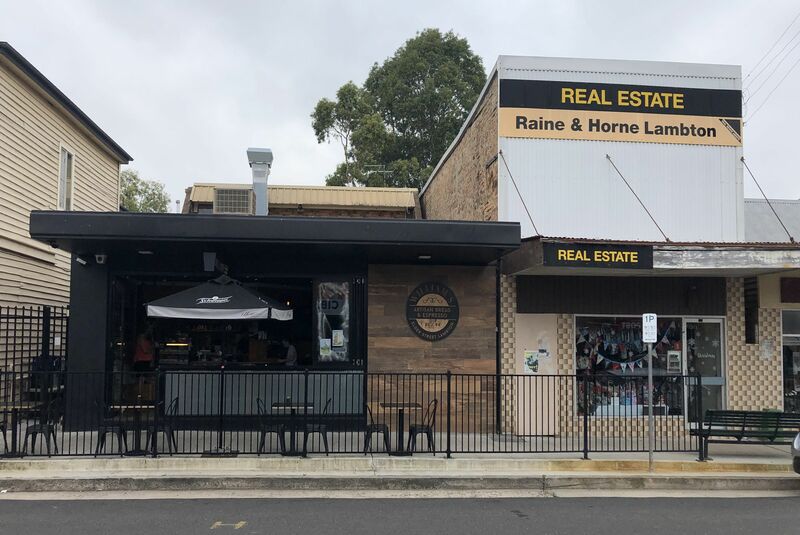 The site is at address 102-104 Elder St, where Raine & Horne Real Estate was formerly located, and Williams Artisan Bread & Espresso is currently located. 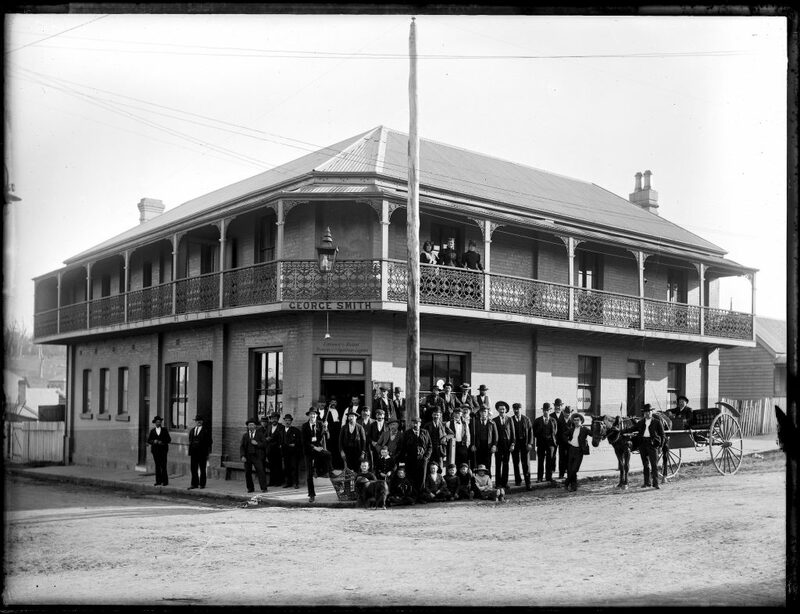 The University of Newcastle Cultural Collections has another Ralph Snowball photograph of the Commercial Hotel, captioned “George Smith’s Commercial Hotel, Lambton NSW, 11 August 1891”. The date cannot be right as George Smith did not become licensee of the Commercial Hotel until late 1900 or early 1901. George Smith’s Commercial Hotel, Lambton NSW. University of Newcastle, Cultural Collections. The Australian National University archives has a photograph of a card from Tooth and Company Limited that shows two of the hotel’s name changes in the 1970’s. 24 Jun 1868 Advertisement for Michael Doyle's "Rose, Thistle, & Shamrock Inn" at Lambton. 21 Aug 1879 "Mr. Henry Laurance, the oculist optician ... will be at the Commercial Hotel, Lambton, on Thursday next." 19 Nov 1880 "Richard Ward applied for the transfer of his license of the Marquis of Lorne Hotel, Dixon street, to a house in Elder-street." The request was refused by the bench. Was the house in Elder St the Commercial Hotel which R Ward occupied in 1882? 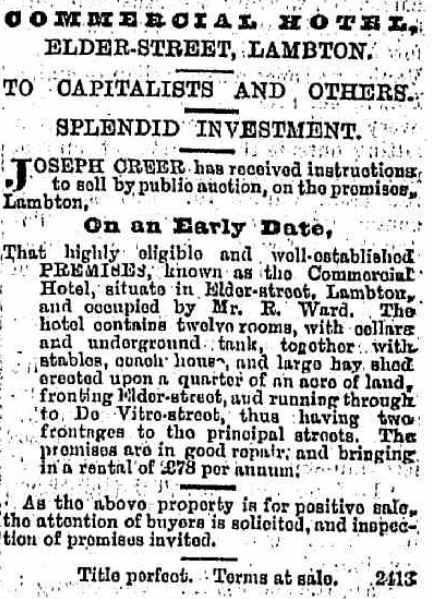 6 Apr 1882 Advertisement for the sale of Mr R Ward's Commercial Hotel. It is described as being on a quarter acre block between Elder and De-Vitre street in Lambton. 8 Aug 1882 "Messrs. W. Lightfoot and Son have removed to Lambton, and commenced business in the premises in Elder-street, lately known as the Commercial Hotel, as grocers, drapers, ironmongers, dealers in colonial produce, etc." 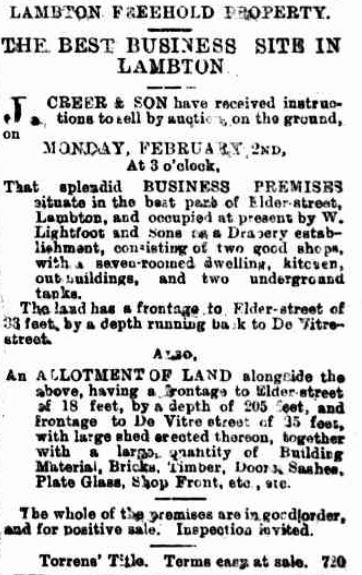 17 Jan 1885 FOR SALE - "That splendid BUSINESS PREMISES situate in the best part of Elder-street, Lambton, and occupied at present by W. Lightfoot and Sons as a Drapery establishment, consisting of two good shops, with a seven-roomed dwelling, kitchen, out buildings, and two underground tanks. 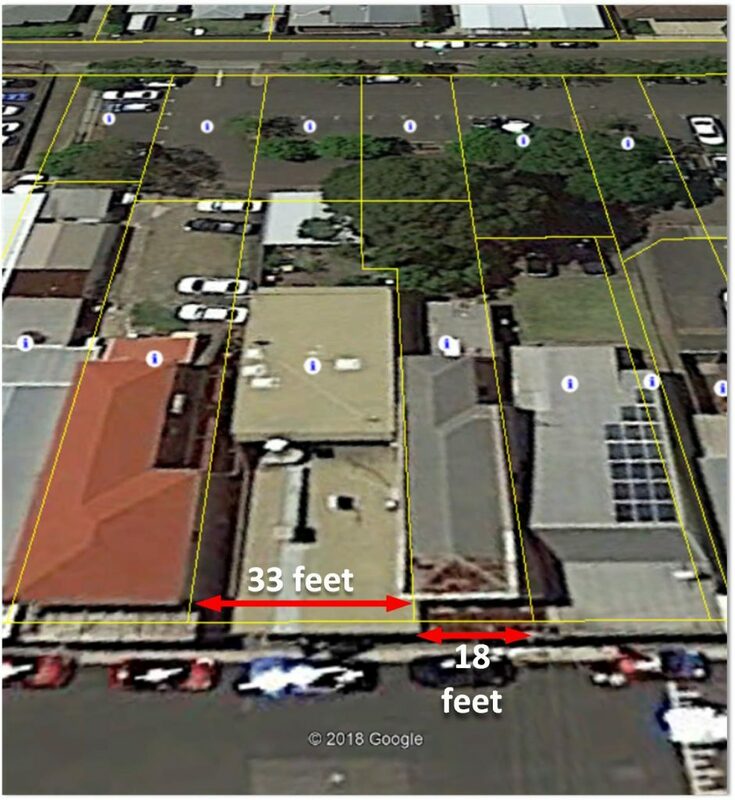 The land has a frontage to Elder-street of 33 feet, by a depth running back to De Vitre street." 2 Nov 1888 "The new hotel built to the order of Mr. G. Buckley, situate at the junction of Elder and Grainger streets, is now complete." "Mr. Brown has spared no pains in tastefully furnishing every room, so that the Commercial Hotel, with its genial host and sanitary surroundings, can be safely recommended as ranking amongst the first-class hotels of the district." 5 Nov 1888 Mr. W. Brown, the host of the new Commercial Hotel, celebrated the opening of the house by inviting a few friends to partake of a neat "spread" on Monday night. 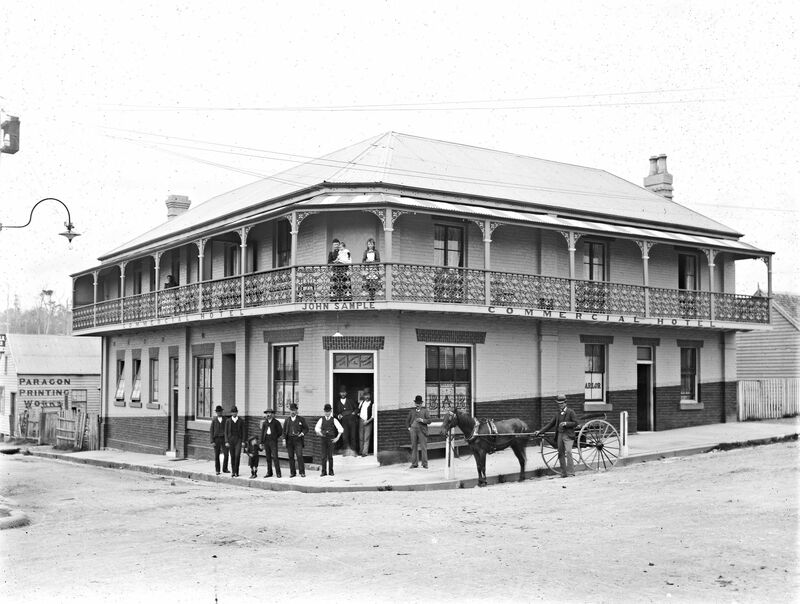 11 Jul 1889 At the Waratah Licensing Court, the licence of the Commercial Hotel was transferred to John Sample, despite objections of the police. 18 Jan 1921 At the license renewal hearing, the Commercial Hotel is described as "a fairly new brick building of two storeys" with "nine bedrooms, six of which were available to the public." The licensee at the time was Stephen Thomas Shipley, and the owner was Anne Jane Buckley.